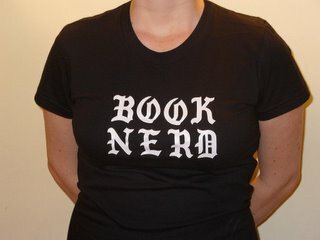 I can't wait until all my fellow booksellers converge on Brooklyn for BEA starting May 30! You may have noticed my major passions are books and Brooklyn, and I'm giddy with excitement as the two get lots of attention this season. Bookselling This Week has Brooklyn restaurant recommendations from local writer Pat Willard. I have a special soft spot for Convivium, which is where the ALP proposed, and 5th Avenue in Park Slope is becoming a real foodie's paradise -- in addition to Pat's choices, I'd also highly recommend Bogota for exciting Latin American food, and Biscuit for mouth-watering barbecue. But Smith Street is even closer to Hotel ABA, and you can't miss with the strip's array of restaurants. I love Bar Tabac for the sweet Gypsy jazz often being played by a live band, as well as for their juicy burgers, and have to add to Willard's list my favorite pan-Asian restaurant Faan -- the ALP and I love ordering a couple of sushi rolls, some Pad Thai and a glass or two from their sake menu while sitting in the open-air patio. Nothing better on a summer evening. But it's not just a restaurant town -- BTW also has a great piece on longstanding bookstore success story Brownstone Books in the Bedford-Stuyvesant neighborhood. I admit I haven't yet been there (though I once got scammed out of an apartment in Bed-Stuy -- long story...), but I'm delighted at the prosperity and community engagement demonstrated by the bookstore's owners. It's a big borough -- it's good to dig into our neighborhoods. I was lucky enough to go to the Brooklyn Literary Mingle a few Fridays ago, kicking off the preparations for this year's Brooklyn Book Festival. In addition to chatting with Brooklyn literary stalwarts Johnny Temple of Akashic, Tom Roberge of A Public Space, Rob Spillman of Tin House, and others, I got to hear about plans for this year's festival, which will be even bigger and better than last year's unexpected success. The date is September 16, 2007, so mark your calendars -- it does NOT conflict with NAIBA-Con this year (which is October 14-15 in Baltimore, another great book town -- hooray! ), so I will be there with bells on in one capacity or another. But you probably have love for your hometown too, and places that make it unique. I'm excited about attending the Localism session at BEA (Saturday at 1:30), hosted by Bill McKibben, author of Deep Economy, which will focus attention on Shop Local movements around the country. I've been saying for some time to anyone who would listen that the backlash against corporate homogenization is happening, as consumers learn to value unique local culture, and apparently Bill McKibben agrees with me. It's a great thing for independent bookstores, and for communities, and I can't wait to hear more. In the meantime, I spent a lazy but semi-productive weekend in my own neighborhood with the ALP, and picked up (at my local comic shop Rocketship) the latest issue of Local, Brian Wood's brilliant experiment in realistic, serialized storytelling. Every issue is set in a different town (including #6, set in Park Slope, Brooklyn), following a single character through the episodes of her nomadic life, and filled with unique local scenes and details. It's a celebration of the diverse and fascinating characters of American communities, and a good story too. But as I savored the issue over a Sunday afternoon pint at the Brazen Head, the ALP reading Jonah Hex next to me, it was hard to imagine any place as great as Brooklyn.